Welcome to Windmill Animal Hospital, Abilene's premier family pet care facility. We are delighted you and your pets are interested in making us your Abilene Vet!. 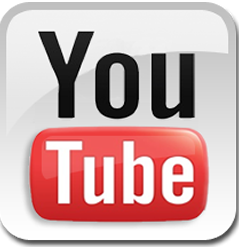 Our web site is designed to help you learn more about us, our veterinary practice, and the care of your pets. We look forward to serving the veterinary care needs for all of Big Country! 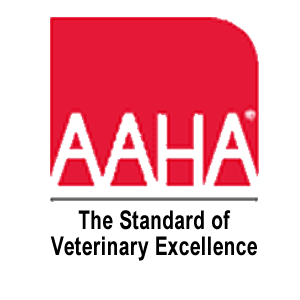 We are AAHA accredited , assuring you that your pet will receive top-quality pet care. 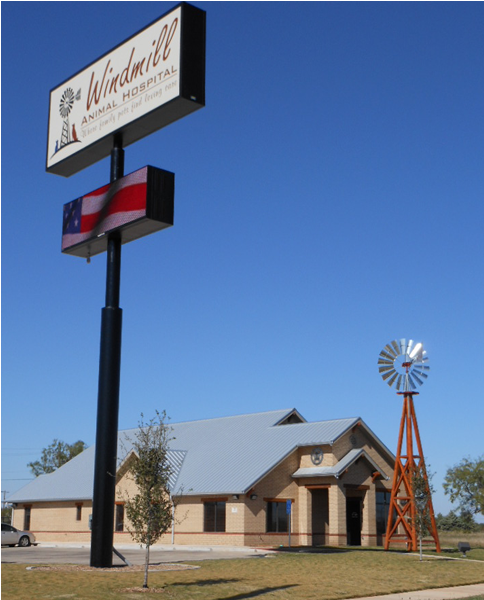 Come experience the finest Veterinary Clinic in Abilene Texas - Windmill Animal Hospital. We offer State-Of-The-Art Therapeutic Laser Treatments, providing a whole new realm of pain management and faster healing. April is Heartworm Awareness Month! FREE heartworm test with purchase of 1 year of ProHeart heartwrom prevention ($30 value) Other discounts also! Call for details! Read more about ProHeart here. Proper dental care can SIGNIFICANTLY INCREASE your pet's life span! Read more about the importance of proper pet dental care. We have GREAT prices on all your pet's medicines, shampoos and supplements. Be sure and sign up for our email with Pet News and Pet Care Specials - (sign up in the column to the left). 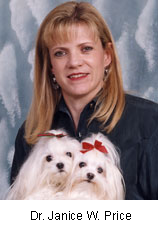 The Practice Director and founder of Windmill Animal Hospital is Dr. Janice W. Price. Please click here to see her "waiting room resume". In June 2012, Dr. Price and the entire staff of Windmill Animal Hospital welcomed our new Associate Veterinarian, Dr. Rebecca S. Barnhart. 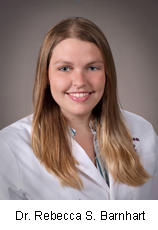 Dr. Barnhart brings a wealth of veterinary passion and knowledge to the Abilene area. Click here to read more about Dr. Barnhart. 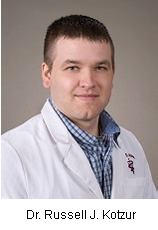 Dr. Price, Dr. Barnhart and the entire staff of Windmill Animal Hospital welcome our new Associate Veterinarian, Dr. Russell J. Kotzur (pronounced Dr. Cut-Zur). Dr. Kotzur brings his passion for excellence in pet care to the Big Country. Click here to read more about Dr. Kotzur. SEE US ON TELEVISION! "and it Smells Good Too!" "We regard dogs, cats, and other pets as true family members; we believe they should receive the very best in health care, both preventive and curative. Our duty, and our pleasure, is to provide top quality patient care, thorough and thoughtful client education, and meticulous health maintenance, to ensure our patients live as long and healthy a life as is humanely possible. Anything less than a passionate dedication to excellence in achieving this goal is unacceptable." We are deeply committed to making sure the pet owner is actively involved in the decision-making process for the veterinary care their pets receive. This includes preparing detailed treatment plans (estimates). We then discuss and receive pet owner’s approval BEFORE starting the pet’s needed veterinary care. It’s the Windmill way! We want our clients to know they are in control of their pet’s care and not be afraid of “Sticker Shock” at the front desk when it is time for their pet to go home. We certainly try to exceed your expectations on meeting appointment times...but in those rare occasions where we just plain get behind, please know there is a High Speed Wi-Fi Hot Spot, right here in our hospital. Just bring your tablet or smart phone and surf, email etc. on our "Windmill Guest" wireless connection! Your pet will even be safe during extended power outages with our Backup Power Plan! Make Your Abilene area Veterinary Clinic Windmill Animal Hospital!
" I DID NOT THINK THAT I COULD FIND ANOTHER CARING ABILENE VET AS I FOUND AT THE WINDMILL. I WAS NERVOUS ABOUT LEAVING MY BABY PRISSY WITH ANY ONE BUT SHE GOT THE BEST CARE AND TREATMENT I COULD EVER ASK FOR. YOU ARE ALL UNIQUE AND WONDERFUL AND PRISSY LOOKS FORWARD TO HER NEXT VISIT. THANK YOU FOR THE LOVE AND SPECIAL CARE THAT YOU PROVIDE." "I just don't know what I did without Windmill Animal Hospital, they are my one stop shop now! All of the services are outstanding! You guys are the best!!!" "I was so happy with the experience I had at Windmill Animal Hospital. I felt like everyone there really cared for my feelings and the well-being of my cat Smokie. He is doing great and I have a lot of confidence in this place. I will strongly recommend to all my friends and family to go here! They really care for the animals! Very, very pleased!" Click here to read what other Windmill Clients are saying!